In the early years, Choo Keng Kwang was involved in wood-cut and oil painting and chose the life of workers as well as beauty of the countryside as his subjects. In the late 60’s when batik painting caught on as a popular art form, Choo then switched from wood-cut and oil painting to batik painting. 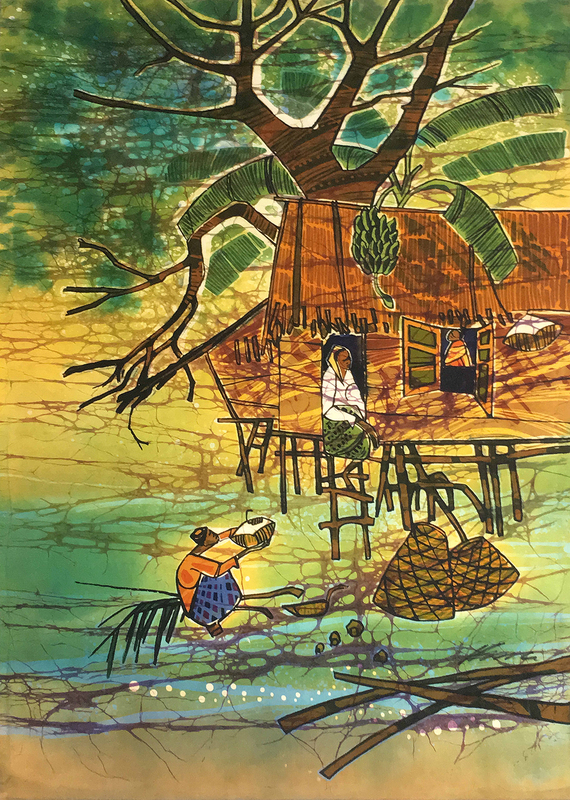 Many of his batik works were on the Malay kampung life, evident with ‘Village Scene’, 1970s. This particular work stands apart from most of Choo’s other works, illustrating the play of vibrant colours in his maverick manner. He meticulously portrayed the life of villagers and their daily antics. With dedication and hard work, Choo soon emerged as one of the popular batik painting artists in Singapore during his time.